Abarr Lake Chiropractic wants to welcome you to our new fabulous blog! We are a great chiropractic clinic located in Loveland, Colorado that offers a variety of wonderful services to help you feel your best. In this brand new blog, we will discuss a plethora of topics related to all the great services we offer. We want you to be well-versed in why we believe these techniques will help your body and well-being most. We are a family practice that helps all types of families throughout northern Colorado. We offer chiropractic, acupuncture, therapeutic massage, and spa services; we are a one-stop shop! Dr. Dena Simmons and Dr. Tom Krueger are your chiropractic experts. Both have been studying and involved with chiropractic medicine for over 10 years. Dr. Simmons specializes in family practice and her partner specializes in athletic injuries. Put them together and you get a great well-rounded team to help with any ailments such a back pain, neck pain, or sciatica. Dr. Amy Reeve is your acupuncturist extraordinaire! She graduated in 1999 and has been practicing ever since. She knows exactly how to relieve pressure and tensions with precise placement of the acupuncture needles. Her specialty is one of the most difficult including prenatal care, and pediatrics. Our chiropractic care puts us above the rest. We have two main techniques we offer, and we will always design a treatment plan that’s right for you. as a natural treatment to help with many disorders by creating stimulation in the brain, and keeping balance throughout the rest of the body. We have licensed massage therapists to help you ease tension, relieve stress, and just feel good. 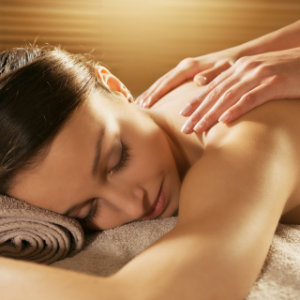 We have a list of several different therapeutic massage, athletic massage, and body treatments to help you with any discomfort you’ve been feeling. We take many insurances and can help you even if you are not insured. You, our patient, are our number one priority, and we want to make sure you get the help and care you deserve. Abarr Lake Chiropractic is above the bar when it comes to healing and treating our patients. Please check out our wonderful practice full of helpful, professional and caring staff members. Schedule an appointment and keep checking our blog with lots of beneficial information about chiropractic care, chiropractic treatment, acupuncture treatment, and many other topics to help you understand why we love, and do what we do.